Judging from past year articles by scholars, the selection process is being continuously tweaked year by year. This is solely based on my experience: yours might be entirely different. A scholarship offered by Petroliam Nasional Sdn. Bhd. for post-SPM students in majors ranging from Accounting to Sociology, from Applied Chemistry to Instrumentation Engineering. A scholar’s tuition and living fees will be fully-sponsored for pre-university level and undergraduate level. 3. Select your intended major and country of study. A few hundred people will be shortlisted from applicants from all over Malaysia for the Petronas YoungStar Day. The event was conducted in both Kuala Lumpur and Sabah. · Thinking Skills Assessment (approx. 1 hr). The questions are primarily testing your thinking skills. Prior knowledge is not needed. – Most group members were cooperative and most likely everyone will get the chance to voice their opinion. The officers listened respectfully without contradicting any ideas so don’t worry too much about their response. – However, you might have questions directed at you by the officers and group members in a brief discussion session after each member justified their answers. · The question: How would we improve Petronas petrol stations’ and Kedai Mesra’s sales? · In Kedai Mesra stores along the highway where efficiency and convenience are of great importance, the process of purchasing Mesra goods is made efficient. Customers can make direct purchases. · Feedback – we were allotted a session to talk about how we felt about the day, what people we met, what we learnt, and whether we liked their interview style/activities done. You should be sincere and positive. As the scholarship results will be released later than the enrolment date of A-Levels (specifically January and March intakes), Foundation and STPM, you should consider attending one of them first. It’s wise to plan for different possibilities and prepare for your future. The Petronas scholarship results were announced near the end of May for the first batch students, while the second batch were notified near the end of July. And the third batch students were notified near the end of August. · But don’t worry if you can’t find a question, I didn’t. With that said, I wish you good luck ! You have come a long way to score in SPM after tons of hard work. I believe that if you’re motivated enough to make an effort and apply for one of these scholarships, you definitely have the potential to get one! It might also be useful to check out this link to learn more about a senior’s journey as a Petronas scholar. In it, the author recounted her life post-SPM until now. The author, who wishes to be anonymised, was a PESP recipient for the year 2018. The Yayasan Khazanah Scholarship tests a range of abilities including essay writing, mathematical reasoning, as well as data analysis – and that is before being called in for interviews. I’m a YK Global scholar from the 2018 Early Harvest intake, currently on my final semester of A-Levels in Kolej Yayasan UEM and planning to read Economics for my degree. The purpose of this article is to share my experience as well as some general tips to give you an idea of what to expect, which skills are needed at each stage, and what preparations to make. Like any other personal statement, the most crucial aspect of the essay is specificity. Try to vividly define your academic interest and goals. It’s not enough to say you want to do Economics to eradicate inequality, it’d be better to talk about, say, how you came to the realisation that economic inequality is a major issue in Malaysia and how you hope to contribute it through your degree (stress on Malaysia: remember that this scholarship is also an employment contract for you to contribute to the country!). While this core part of the essay is crucial, the rest will be entirely up to you. It may be beneficial for you to include relevant skills you’ve acquired through different leadership positions or academic subjects, mention specific goals in a corporation under Khazanah Nasional you’d want to be involved in, or reflect on any volunteering opportunities that you might have. During my batch, the online test consisted of Numerical and Verbal Reasoning, as well as an additional E-tray Assessment. Numerical reasoning consists of standard mathematical problems as well as some questions regarding shapes. As a rusty-in-math SPM leaver at the time, I could only prepare for it by going through some Additional Mathematics problem-solving questions and refreshing my mathematical skills. The verbal reasoning questions were, as the name suggests, language-oriented, with a focus on comprehension of texts. Should you make it through these two standard IQ tests, the Stage 2 test will be the most unique aspect which is the E-tray assessment. This will be a simulation where you are a manager of a company and you have to make managerial decisions based on presented data as well as answer emails. I don’t think I can delve into the details much as it’s likely that the same model will still be used. Overall, I found these two stages to be the most challenging – you never really know if some of your answers are correct, especially in the numerical reasoning part concerning shapes. The best you can do is to simply be in a calm environment, read all instructions carefully, and take your time answering them. If you’ve made it to this point, congratulations! The online quizzes are where most candidates are sieved out, which means you’ve got one foot in already. My first interview was held online via Skype, as I was part of a small Early Harvest intake. It was a casual one-on-one conversation with the Scholarship Manager on my academic and career goals. I talked about which subjects I planned to take at A-Levels, what I hoped to do with my degree, and my plans to pursue a Masters in the future. Of course, these plans are not static as our interests evolve over time, but having a general idea of what to do with your degree would be much better than simply saying you hope to go wherever life takes you. At Stage 4, I was finally called to the YK Office in Mercu UEM (near KL Sentral). This was the most intimidating stage as I was interviewed by two members of the Board of Directors. They held a copy of my personal essay and asked me questions based on them, such as to clarify my leadership roles, volunteering involvement, and academic interests. I also remember having a discussion on brain drain of YK Scholars: they mentioned that it was a rare occurrence among our scholars, but it happens nonetheless. I remember assuring them that I had a strong commitment to this country, and I hope to improve it through my education. Overall, YK’s interviews are not as technical as corporations where you have to memorise their Vision and Mission and have an idea of which department you want to work in, etc. Again, it goes back to the same principles as the personal essay – you’d need to clearly define your academic and personal goals and figure out how you will contribute to this country through your education. Do not be complacent: there’s this misconception that if you’re at Stage 4, you’re pretty much going to get the scholarship. While this has an element of truth to it, I’ve had peers getting rejected at Stage 5, which means you should not feel comfortable just yet. Above all, be genuine and honest in the way you present yourself. My Stage 5 was a casual chat with a member of the Board of Trustees along with one member of the Board of Directors. And when I say ‘casual’, I mean we talked about my shirt collar being too small and how I should get a tailored-fit shirt or at least know my measurements, how my then-girlfriend also wanted to apply for the scholarship, and how KYUEM is smack in the middle of the jungle with limited access to facilities. You can prepare a little by knowing about current affairs in case they pop up in a discussion, but the casual and flexible nature of it means there are a myriad of ways it could go. Again, just remember to be genuine and honest in the way you present yourself. That is all I have to share about my entire application process! As I was part of the 2017 intake, certain features for the 2019 batch and beyond are bound to differ, but I hope that this article has given you the gist of what to expect throughout each stage. The Yayasan Khazanah scholarship has granted me access to tons of opportunities and privileges I could never afford on my own, including a private college and university education, personalised help for SATs and US applications, and numerous volunteering programs, and I owe so much to the organisation. While it is often associated with its difficulty and prestige, the YK community is also a welcoming and accommodating family that is very supportive of your changing needs. The only price associated with this opportunity is your contribution as part of this nation’s human capital and contribute through your education. I sincerely welcome you to be a part of this community, and I wish you all the best in this long application process. My name is Ahmad Faris Bin Ahmad Rizal. I graduated from SM Sains Alam Shah, Cheras in 2016 and am currently on my final semester of A Levels in KYUEM. I’m planning to read Economics for my degree in the United States, with a specific focus on economic development and policymaking. Outside of my studies, I enjoy lifting, hiking, boxing, and reading classical fiction. Before I begin sharing my scholarship experience, let me give you a quick introduction to FGV. Felda Global Ventures Holdings Berhad (FGV) is Malaysia’s leading global agribusiness and is the world’s largest producer of crude palm oil (CPO). FGV has operations in more than 10 countries across Asia, North America and Europe. I’m sure that most of you have came across the name Felda but not Felda Global Ventures. The difference between these two is that Felda (Federal Land Development Authority) is a government agency whereas FGV is a private corporate entity initiated by Felda. Let’s go back to my experience now. I have basically applied for numerous scholarships before this, attended various interviews and even managed to qualify for final stages but sadly luck was never on my side. I follow a page called AfterSchool on Facebook and one fine day there was a post about FGV scholarship. Filling up forms became something very normal to me and again I went through the hassle to apply for it. Thank God I applied! FGV offers a good scholarship programme where it covers your full tuition fee, accommodation, living allowance, books and stationaries allowance and also project allowance. Ten days after the closing date, I received an email stating that I was shortlisted to attend the scholarship assessment (Stage 1). This assessment was slightly different from the ones I have attended before because it was held in a hotel. A few assessments were conducted, and it took the whole day. There were about 200+ candidates shortlisted for this stage. After 2 weeks FGV called and mailed me to inform that I was shortlisted for the final stage and this time it was at their HQ, Menara Felda itself. There were about 60 candidates shortlisted for the stage. – Candidates were grouped into groups of 5 and were given a briefing before the interview session started. For this, there were 6 panels; chief human resource officer, top key people from the research and development, plantation, finance, human resource and production department. After 2 weeks, I finally received THE CALL. The call that I have always waited for. They informed me that the scholarship board has decided to offer me a full scholarship for my degree (Accounting) in University of Malaya. There were only 20 candidates that received the scholarship. Prabhakar is currently a FGV scholar pursuing a degree in Accounting in University Malaya. Driven by strong motivations in life, Prabhakar can always be found on a laptop or notebook reading up on the latest technological breakthrough or playing Counter Strike. His nerdy facade masks his breathtaking musical talent as well as some below average football skills. If you intend to contact the author, feel free to contact the CollegeLAH Team at contactus@collegelah.com. Greetings, readers! 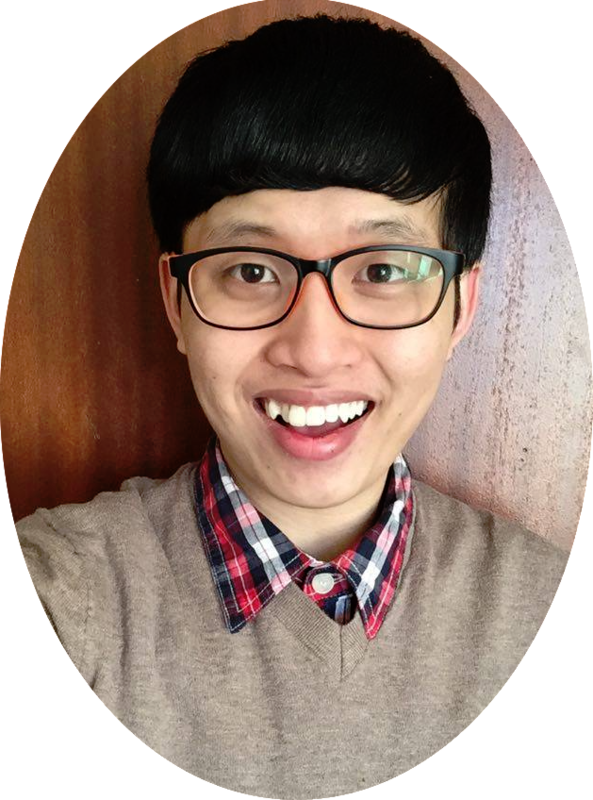 I am Faisal, a Bank Negara Malaysia’s Kijang Scholarship recipient for the year 2018/2019 and I am delighted to share my experience with you. First of all, I would like to clarify that the assessments are carried out differently every year. This article will only then give a glimpse of the style of the assessment. I will not be able to describe the whole process to avoid revealing some confidential parts. Contrary to previous years, there were only about 60 candidates that made it through the online application stage in 2018. On the first night, we were sorted into our respective groups and were briefed on the central bank’s organisational structure and the scholarship programme itself. There were no assessments held. Previous Kijang scholars (who are currently serving their bond) were assigned to each group as mentors. At first, when no one had the guts to start a conversation, it was rather awkward. However, our mentors were nothing but friendly and I found myself enlightened by the situation. They were the ones who started the conversation and we had quite a fruitful discussion throughout the night. One of my mentors is an Economics undergraduate. She was definitely my point of reference as I myself applied to read Economics. If the same activity is carried out in 2019, my best advice for you is to ask as many questions as possible to understand what you will be facing in the future as a central bank scholar. The group assessment was split into four stages. The first stage was ice-breaking with the assessing panel in our respective groups. One by one, we were given the opportunity to introduce ourselves to let the panel get to know us better. Towards the end of the session, each of us were given a blank A4 paper and coloured pens and was told to produce a simple magazine cover that summarizes our personality and interests precisely and concisely. Indeed, the first stage made us knew each other better and we became more comfortable around each other. The second stage was a grouped task (balancing water bottles on a bridge made of straws and newspapers). Each group were given materials such as straws, newspapers, scissors and cellophane tape. It was more challenging as we were only allowed to use the materials to produce a bridge (of our own design) that is able to hold as many water bottles as possible. It was quite an intense activity as each group were divided into two and one subgroup was not allowed to communicate with the other. Hence, we had to make half of the bridge, hoping that we were able to connect them together and produce a strong bridge. Surprisingly, our bridge managed to hold 3 bottles compared to others in our room which could only hold 2 bottles on average. The third stage was a role-playing task. Each group were instructed to come up with a solution to a business problem (our goal was to develop a project with the objective of complying with CSR). I was assigned to the administration team. My responsibility was to assure that our proposals would not backfire and self-contradict. Perhaps, that was the task other candidates found the hardest. There was definitely pressure as we were allocated very little time and were required to complete a rather detailed proposal. I am not able to recall the fourth stage accurately. From what I remember, each group had to present a daily life situation that requires us to apply knowledge from the respective fields we applied for. For instance, since some of the members of my group applied for Economics, we re-enacted a situation that portrayed how corporations use supply and demand theories to target consumers. Reality hurts but that’s just how life works. Only about half of us made it to the interview stage and we were sorted into groups according to the courses we applied for. Prior to the interview, we had to create a presentation based on a given topic using a mah-jong paper and marker pens. We were instructed to present our ideas before the interview. The interview process was similar to the interviews that we have heard from other people. The interviewers could ask what you know regarding the structure of the central bank, your reasons for applying for the scholarship (why Bank Negara out of all?) and what made you choose to study the intended course. Most importantly, to get to know you and understand who you truly are. What I think I did well and what should you do? I think I should reiterate what was said by other previous (and current) scholars. The idea is to be as natural as possible. It is undeniable that your knowledge of current issues (particularly those pertaining to the course that you applied for) is a valuable indicator of your potential. However, I believe that some candidates might try to show their potential by plainly using economic jargon throughout the assessment. Some candidates can also come off as very weak team players especially when they are quick to dismiss other people’s ideas. Besides intellect, I believe that the central bank is looking for candidates that cooperate well in teams, an aspect that is vital for functionality in an organisation. It is advisable to stay true to your personality when you are being assessed. This way, not only are you able to express yourself truly, it will also help you go through the assessment calmly. Faisal is currently a Bank Negara Malaysia Kijang Scholar who’s completing his A-level at Epsom College in Malaysia. Having full faith in his passion, he aims to study in Economics in the United Kingdom (particularly UCL). His A-level subjects are Economics, Chemistry and Further Mathematics. As an active member of the Epsom Debating Society, Faisal believes that discourses in a community are essential for positive outcomes. Even though you may see Faisal with his emo hair and grumpy face, Faisal is actually a highly friendly and sociable person so feel free to talk to him whenever you see him. If you intend to contact the author, feel free to contact the CollegeLAH Team at contactus@collegelah.com. What’s NTU ASEAN Undergraduate Scholarship? It is a scholarship for NTU students that covers the tuition fees and allowance per academic year while your results will be assessed every semester to make sure scholars get at least 3.50 out of 5.00 of CAP (Cumulative Average Point). The scholarship works in this way: half of the tuition fees is subsidized through Tuition Grant and the scholarship will cover the rest. There is no bond to the scholarship whereas the tuition grant provided by Singapore government has 3 years bond with any Singapore registered companies. Do note that this scholarship does not cover your hostel fees, so you have to use the living allowance to pay for that. Cool! How do I apply? To apply for this scholarship, you would need to fill in a scholarship application form after submitting your application form to NTU. The form is used for application for other scholarships as well, such as CN Yang Scholarship, College Scholarship, Nanyang Scholarship and NTU Science and Engineering Undergraduate Scholarship during my academic year, so it’s convenient for students to apply for multiple scholarships with just one application form. It requires students to fill in their past results, academic awards, extra-curricular activities and then write an essay not more than 300 words based on one topic chosen from 3 options. So, what did you write about? I chose the topic about the values and beliefs I hold strongly to. In my opinion, every essay that you need to write and submit before the interview is extremely crucial. This is the chance for you to express yourself truthfully while convincing the interviewers that you deserve to be awarded the scholarship. For my case, I wrote about the turning points in life that led me to my new beliefs. Students should look for something unique in themselves and write about it, instead of those same old stories about how determined or hardworking he or she is. Therefore, I would recommend people to try out new things and explore more, not only for the sake of applying scholarships but also for your personal development! Relax yourself by believing in yourself. Try not to compare with others, you must know that somebody will be better than you. That’s why you should focus on your unique personality. Be confident but not too arrogant. Avoid telling the interviewers that they will be living in remorse for the rest of their lives if they don’t offer you the scholarship. Be polite to the interviewers. Never forget to smile and thank them for their time in the end! First impression is extremely important. During my interview, I talked about myself and shared my experience of backpacking in Bangkok. I related it to myself as that is my interest. After that, since I applied for Civil Engineering, they asked me a basic physics question of calculating force acting on a block on a slope. I saw a simple chemical equation on the back of the paper though. My friend who applied for Chemical Engineering was asked to differentiate methane and methene, and guess what – methene does not even exist! Then, they asked me about my favourite building in Singapore and what’s so special about it. Of course, you don’t have to answer the question like a professional; they are just testing your critical thinking skill. Any last advice for future applicants? Have faith in yourself and don’t stop believing! The author, who wishes to be anonymised, is currently an undergraduate ASEAN scholarship holder at the Nanyang Technological University, Singapore. Editor’s Note: Please be advised the the renditions of the MyBrainSc Scholarship from 2016 and the foreseeable future no longer sponsor students to overseas institution. However, the basic principles behind the application process for the scholarship highlighted in this article still apply. Are you still scratching your head to look out more scholarships desperately on the Internet? Please take a serious glimpse of this article if you wish to know more regarding the details of this scholarship. MyBrainSc scholarship is offered by the Ministry of Education (MoE), and open to all Malaysians. This scholarship sponsors successful candidates financially to pursue both undergraduate and postgraduate studies (Bachelor Degree/Master/PhD level) in local and overseas universities. For your information, only four pure-science disciplines are sponsored by this scholarship- Physics, Chemistry, Biology and Mathematics. If you wish to practise Chemical Engineering, Statistics, Forensic Science, Biomedical Science or Biotechnology, then you are barking up the wrong tree. Thus, I am writing this to share my experience and equip you with ample information so that you are not far from materialising your big dreams. The online application is open from December to March. Make sure you always check out the website of Portal Kementerian Pelajaran Malaysia (KPM) during the period. You must meet the minimum requirements before applying for the scholarship. The documents required in the online application are softcopies of your original ICs, passport-sized photos, SPM transcripts, Matrikulasi/STPM/Asasi/IB/A-level/Diploma/SAT transcripts and university offer letters (if available). In the mid of April, you will start receiving an e-mail which demands you to sit for a psychometric test. This test is implemented to evaluate your main interests in particular fields, ambitions, mentality, emotionality, hobbies, potential abilities and other psychological abilities. It is almost like the test we usually did in our secondary school to determine which field or job you were excellently cut out for. Compared to the previous years, the psychometric test has taken the place of an IQ test without doubt. The test embodies two sections- Section A and B. Each candidate will be allocated roughly 120-180 minutes which are quite adequate for him or her to complete both sections separately. The questions are in Bahasa Melayu. Examples of the test are: “Adakah anda suka membaiki mesin dan motor?”, “Adakah anda suka mencatat, mengira, menulis dan membaca?” & “Anda dapat menerima nasihat orang lain dalam satu organisasi.” It consists of 300 questions and repetition of multiple questions occurs in the two sections. The answers are only “Yes” or “No”. The questions are not esoteric and you will be having plenty of time to complete them. I am sure you can answer the questions well as long as you possess a moderate command of Bahasa Melayu. Even so, please do not make light of this test because many candidates are eliminated from this stage either. Eligible candidates will be notified of the interview through e-mails in due course. Interviewees need to attend the interviews in different states as to your respective residences. The wisest thing to do at this stage is searching for plenteous interview tips on the Internet, for example, blog spots of the scholars and interviewees, CollegeLah, ScholarStories, Lowyatnet and etc. The tips obtained are requisite in giving you an idea on how the interview is conducted and what kinds of questions will be asked during the interview. Two candidates will be paired randomly in a group after the registration together with a panel of two interviewers. The interviewers are normally the professors or experts in the pure-science related fields. In my case, I was paired up with another guy who was doing his first-year Physics degree locally. Our interview took about 45 minutes and was fully conducted in English. We took turns at answering the same set of questions. You can round your points out to enable your ideas to be graspable even further. Moreover, keep up with current issues nationwide. I would suggest chatting with other candidates first before the interview helps to relieve your pent-up pressure and disquiet. Speak confidently to voice your own opinions even though you are stammering sometimes throughout the interview. It is a no-brainer everyone is not like-minded in essence, thus, you must be level-headed by the time you encounter rebuttals from the interviewers. Take it as a piece of advice from them as it is just an exchange of opinions between both parties. Just be frank if you are ignorant of ideal answers to a question, it will not impinge on your overall performance. Also, try to engage them in a conversation with you as it can make you be yourself more and mitigate your apprehension. What would you like to be besides becoming a lecturer? Besides being a lecturer in university, what else do you think the lecturer should teach his students other than emphasising on the academics? To study in England, what do you think you can do so that the foreigners will appreciate Malaysian students? If you get an awesome offer from the overseas company, would you like to work there or come back to Malaysia? From all the activities you joined, what is the most valuable experience you have gained so far? How would you promote patriotism? How do you overcome the weakness? Do you think you deserve this scholarship? I would like to highlight that the MoE is not going to help you in the university application. All procedures are kindly handled on your own. If you wish to study in the UK, all you need to do is apply for the universities through UCAS. Getting the admission of universities done before securing the scholarship is sparing with time and efforts. MyBrainSc Scholarship does sponsor students, too, to study in the US, Australia and Canada aside from the UK. The lists of universities recognized by MyBrainSc are available on Portal KPM. Plus, you will need to come back and serve Malaysia for 5 years upon completion of your studies. The job prospects offered are becoming lecturers or researchers who will be affiliated with educational institutions and research centres in Malaysia. You should leap at this golden opportunity without scruples provided that you have an eye to Pure Sciences. The interview results shall be set forth approximately around the UPU results week. Truth to tell, I have been harbouring a hope to study in England come what may. Finally, I have come across this scholarship which can bring my dream to pass and let me head for my dreamland, England. Perseverance is the key to achieving success and goals. To err is human. I do sail through trials and tribulations which have dampened my spirits. However, it takes courage and faith to begin the first step of everything you embark on. After going through a bad patch, you will see light at the end of the tunnel. Be a go-getter, and keep in mind that success does not come easy for any warrior. I truly hope that the information shared here will come in handy for you all in time to come. It was like any other scholarship application process. You are required to fill in personal details and also write an essay about how will you contribute back to Malaysia in the future. You will be informed to log on into a system and answer the questions given within the limited time frame as stated. It is very likely that you will not have enough time to recheck your answers as the time given to answer them is very short. In my opinion, these questions are similar to the questions of reading comprehension where you need to have critical thinking in analyzing the data provided in these questions. I received an email from Khazanah at approximately 11.40pm (yes, Khazanah workers do work late) In the email, I was informed to attend the third stage interview at Corus hotel, Jalan Ampang. The traffic at Kuala Lumpur is very unpredictable at times so I decided to travel early! I like the view of the skyscrapers in Kuala Lumpur as we do not really have such tall buildings with many storeys back in Seremban. I was a bit shocked because there were only 5 people including me when I reached Corus Hotel. After enquiring from the interviewers, they explained to us that they had separated many sessions for those that were selected where each session only consist a maximum of 6 people. The interview consists of 3 parts, and it started with group discussion. Everyone was given 2 resumes and were required to discuss which person would be more suitable take up the position considering that the company has who to put in what position with company’s limited budget. It was less stressful as there were guidance such as data and instructions. 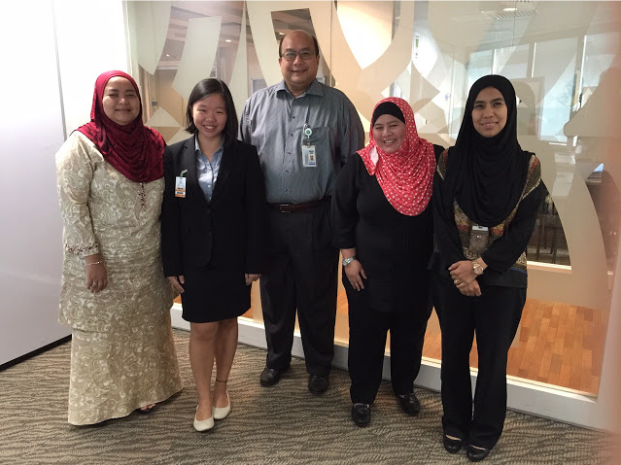 The group discussion went on for 30 minutes with the Khazanah interviewers observing the progress of the discussion. The next part was the case study personal presentation. We were given a case and were required to present individual presentation about launching a new phone. We need to analyse and decide the venue, time, types of advertisement and many more. At this stage of the interview, everyone was guided as data and instructions were provided. After 30 minutes of preparation, we begun our 15 minutes presentation and ended with a question and answer session. The last part was regarding a personal interview which I would personally advise those who will be interviewed to stay calm and be yourself. You need to be honest with everything you say or provide as it will not be surprised that these experienced interviewers will know whether or not you were lying. I would also advise to do simple preparation before coming for the interview. I prepared files containing my resume and certificates although it may not be used during the interview. I received another email a few days later, informing me to attend stage 4 interview at KLCC level 33. The relaxing room for the Khazanah workers was really very nice with yellowish lighting. Stage 4 was a personal interview with Yayasan Khazanah director Mr Kamarul Bahrein which lasted for 30 minutes. He asked me to introduce myself and some questions regarding my personal background, personal interest and also my curricular activities. After two weeks of waiting, I finally received an email from Khazanah. There are 14 of us that were fortunately selected into the final stage. I had fun chatting and getting to know them. The interview session was with the director of Khazanah and it only lasted for 5 to 10 minutes. It was considered a short and brief session. Belinda Lee Theng Lui had completed her matriculation at Kolej Matrikulasi Pulau Pinang(KMPP) last April. She is currently doing her bachelor of commerce at Australian National University under the Yayasan Khazanah Global Scholarship Programme. She loves travelling whenever she can and enjoys cooking in the kitchen. ‘Do not confuse your path with your destination, just because it’s stormy now doesn’t mean you aren’t headed to sunshine’ is a quote she believes for a lifetime. 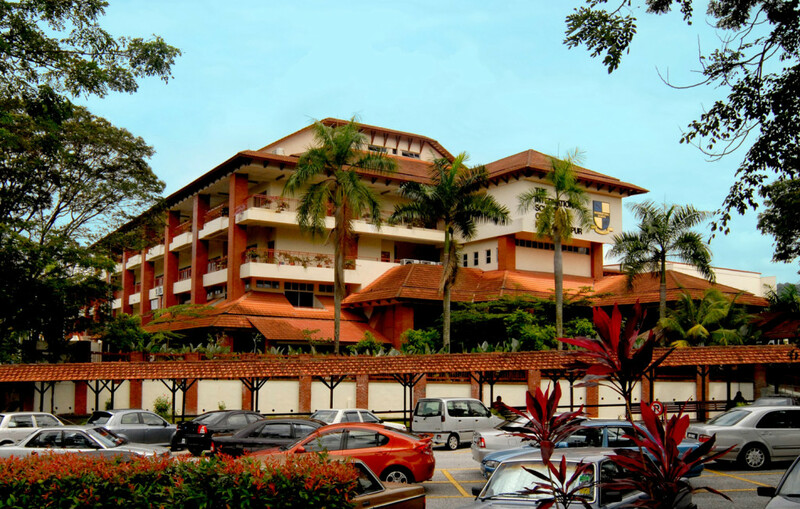 I first entered the International School of Kuala Lumpur as a student in 6th grade (form 2 equivalent). Previously coming from a British School background, the transition was admittedly difficult. At first I had to come to terms with quintessential American terms like “tardy” (which means late, not a contraction of retarded…), “cafeteria” (instead of canteen), and parenthesis (meaning brackets). Little differences in mannerisms let me know that ISKL’s American culture is quite strong, almost think of Mean Girls. The benefits of attending such an institution is the simple fact of internationalism. I marvelled at how a South African girl in my class was not black (excuse my initial lack of awareness and political correctness) and that it seemed like all of the koreans were from South Korea (where were the North Koreans?). ISKL helped me, for the first time, consider these questions. Not only is the school an active supporter of intercultural mingling, but also that mixed groups of friends just naturally form. Growing up, I had friends spanning from Cameroonian, French, Indian, (South) Korean, and Taiwanese, and each of these people helped me understand their own cultural backgrounds. The feeling garnered from ISKL’s middle school program (grades 6-8) is one of friendliness. I got a genuine feeling of happiness and appreciation from each of my teachers—they actually care about you!. While they perhaps weren’t the most harsh in terms of academics (the push for competitive academics to achieve high grades needs to come from within the student or their family), they certainly provided me the opportunity to succeed. In middle school I scored straight A’s while participating in basketball, volleyball, softball, and badminton. Global Issues classes and Model United Nations (MUN) are also offered to Middle Schoolers. Those three years are noted with much happiness. After completing 8th grade, the introduction to high school was quite hand held. ISKL formulates an encouraging environment where bullying is virtually nonexistent and students thrive within their own interests (be it sports, academics, or intellectual clubs like debate and MUN). Grades 9 and 10 offer some rigorous courses like Advanced Placement United States History (APUSH is one of ISKL’s most challenging classes), AP Calculus BC, AP Computer Science, and AP Statistics. Other classes of potential interest include an accolade of music classes (jazz band, 3 different choirs, piano and guitar), fine arts (technical drawing, ceramics, and visual arts) and drama. A prominent highlight of grade 9, 10, and 11 is the annual Global Action Program (GAP) where students simultaneously travel to corners of Asia from Tibet and Bhutan to Minado and Bali. On these trips, GAP focuses on community service and in 11th grade students complete their Group 4 project (a mandatory requirement for the IBDP). Currently on my penultimate semester of the IB, I am enjoying the challenges that comes with it. Since starting ISKL, enrolling in the IB was always an assumption. However, it should be noted that only about 60% of upperclassman (grades 11 and 12) are full IBDP candidates. The nature of the IB makes it such that I don’t have enough free time to be bored. For those that enjoy dabbling in a spectrum of courses (where math, english, science, language, social science, the extended essay and of course theory of knowledge are all mandatory classes) it is the right curriculum. As a jack-of-all-trades and the sort of student that finds all subjects interesting, I’m pleased that I can study physics in tandem with literature. The combinations of Higher Level (HL) and Standard Level (SL) courses keeps doors for university open in allowing me to apply to the US and the UK. However, students of ISKL don’t generally apply to any one country a, s my friends have applied to places like Denmark, Holland, India and the usual suspects like Australia, the UK and US. During my application process my counsellor is extremely helpful in regularly notifying me and other students of upcoming deadlines and providing her expertise in crafting the application. However, if for whatever reason, there are ‘creative differences’ between a counselor and the student, there are other faculty who are just as accessible and available to help. If you’re not sure as to where you want to apply, I feel like the counselors are especially good at establishing the right ‘fit’ for you. As for myself, I am more reserved and am very creative. Yet I take my academics very seriously and wish to pursue Political Science. Because of this, my counselor pointed me in the direction of some of the US’s top liberal arts schools like Amherst, UChicago, and NYU. ISKL’s academics are what you make of it, really. The resources and faculty expertise are enough to see through students to Harvard, Oxford, Columbia and UPenn (as we do have recent alumni currently studying there). You just have to seek the challenge and be organized. If anything, the school has exposed me to a nurturing environment where I have to pursue the tough rigour myself. But once there, the knowledge is rewarding. If you’re interested in ISKL but the sticker price is a shocker, ISKL offers 2 full scholarships every year to enrol in the IBDP after sitting SPM. 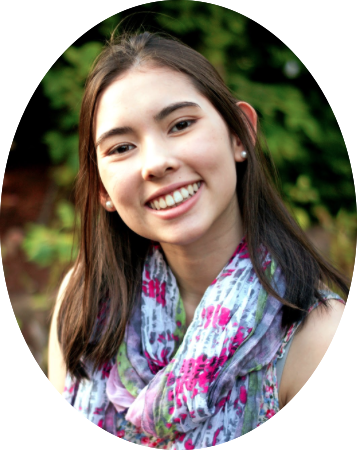 Sonja Fei English is a rising senior who is enrolled in the IBDP at the International School of Kuala Lumpur . 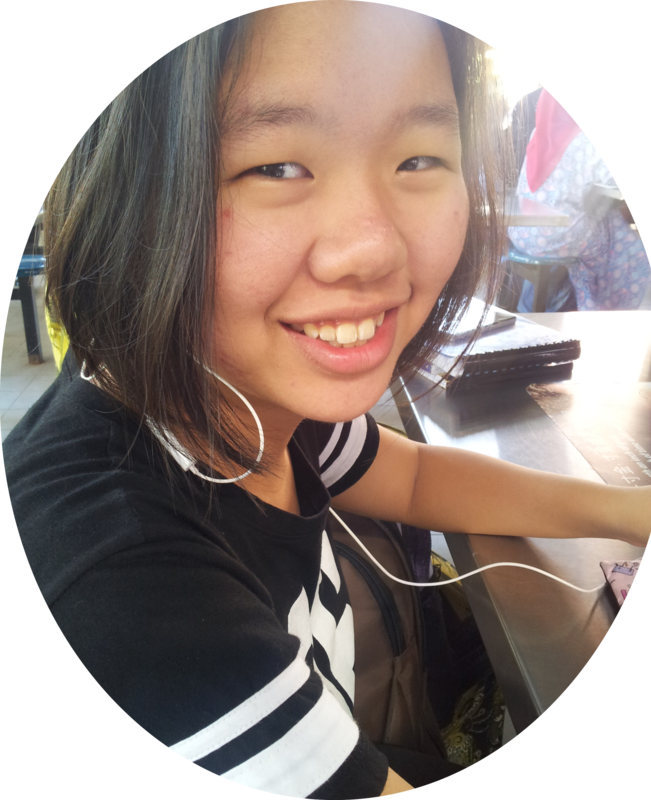 She hopes to study Law in the UK or Political Science in the USA. She is a self-proclaimed Spotify addict and foodie—you will likely find her at a mamak stall over the weekends.